Sadly, I have not received any postcards since early June. A couple have not been registered yet that I sent in June or July and I fear they are lost. When that happens, it takes even longer for me to receive a postcard. I mailed three today, one to California, one to Poland and one to the Netherlands, in hopes of speeding things up. 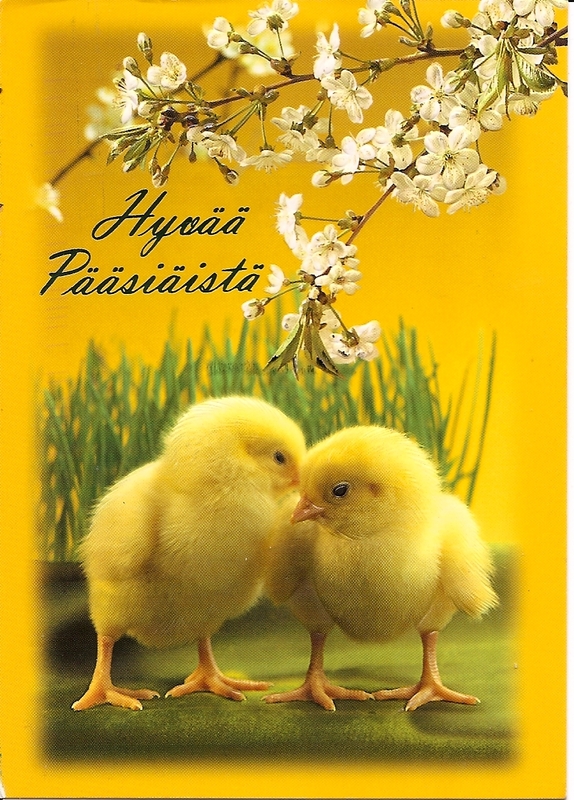 I received these cards in the spring, and one is a special Finnish Easter card. 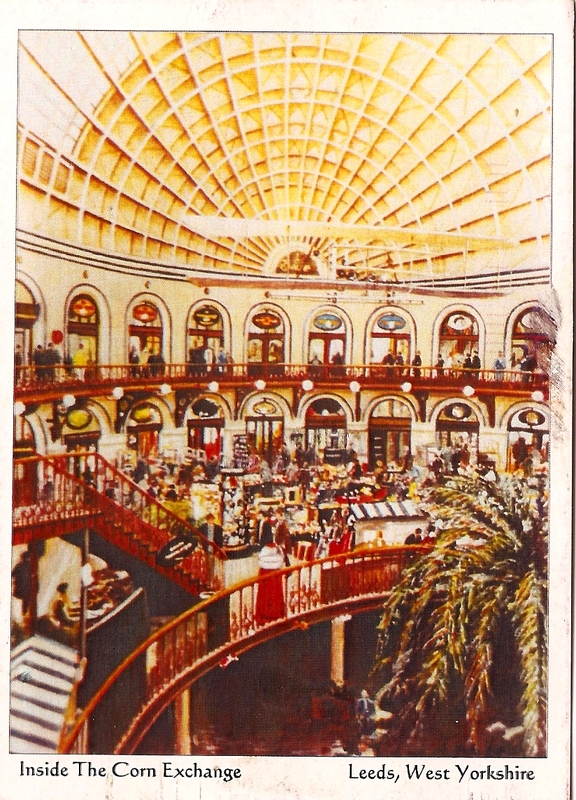 First up is a card from England of a shopping center in Leeds called the Corn Exchange. 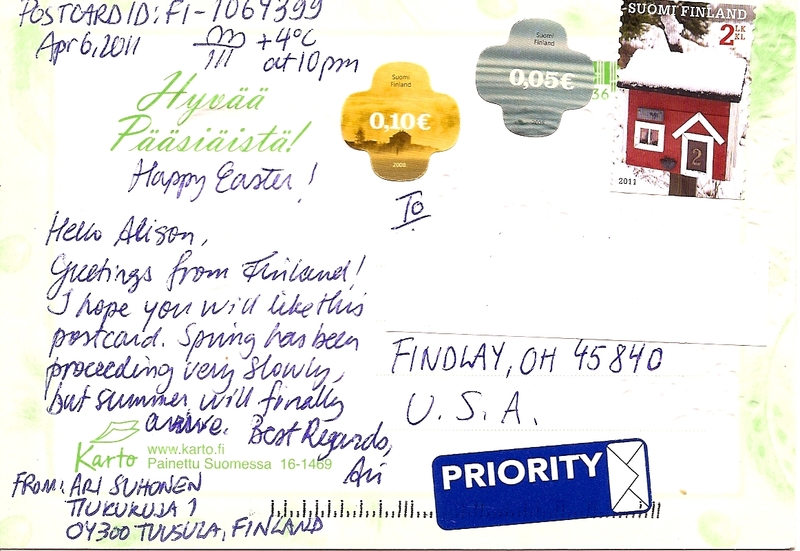 Like I mentioned, my second card shown here is from Finland. This is definitely the cutest postcard I have yet received. It also includes two words with the most umlauts I have ever seen. I liked that the sender of this card included the weather and temperature when she wrote the card. I was also quite intrigued by the stamps, too. 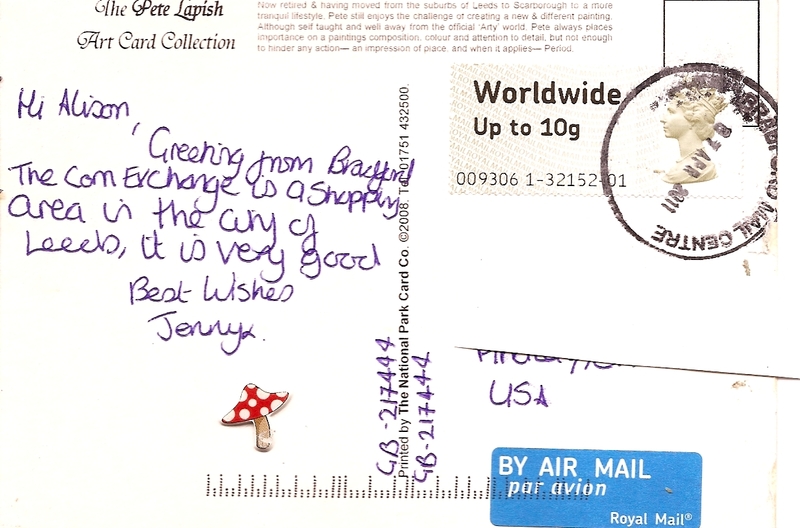 This entry was posted in Europe, Postcards and tagged England, Finland, Holidays, postcards, postcrossing, Stamps, Travel. Bookmark the permalink. Thanks! I really like their shape! I love their non-rectangular shape! I don’t think I have received anything like them before. We should swap postcards, if you’d like!